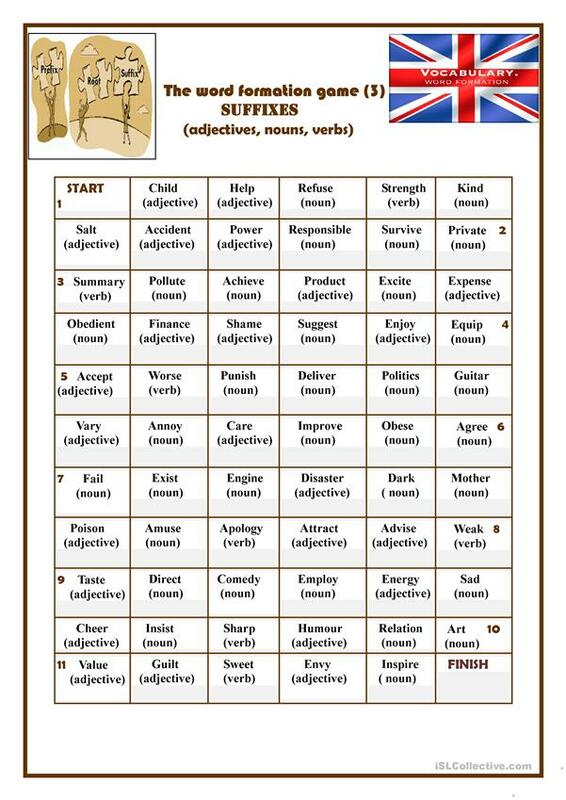 This worksheet is designed to practise the ways in which new words are made on the basis of other words. Photocopy the grid and give it to each student. Students transform the words in turn. The winner is the one who gets more points than other students. Key is given. The above printable, downloadable handout is a great resource for business/professional students, high school students and adults at Pre-intermediate (A2), Intermediate (B1), Upper-intermediate (B2) and Advanced (C1) level. 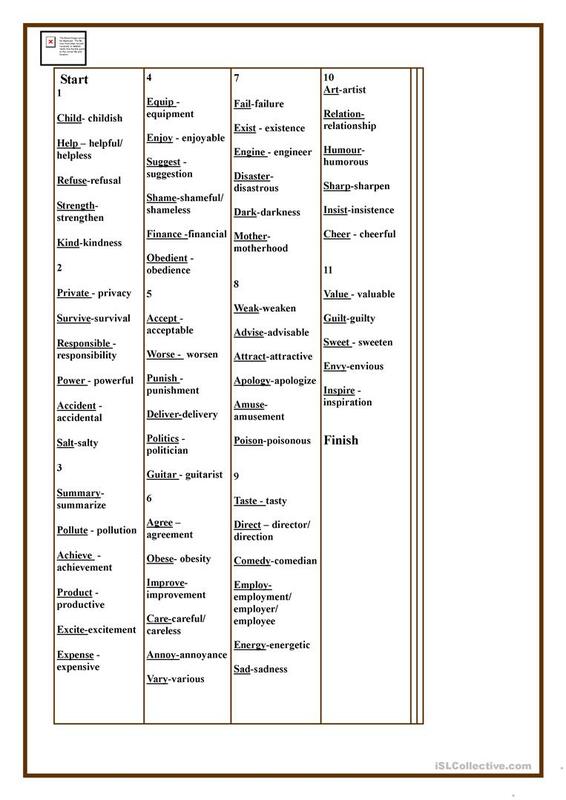 It is great for teaching Suffixes (e.g. S, ED, ING, N'T) in English, and was designed for honing your class' Spelling, Speaking and Reading skills. It is focused on the vocabulary topic of Language functions. There is a key provided with the exercises.